Focusing on newspapers, radio and television, this book provides the first systematic investigation of the development of journalism in Iran following the 1979 Revolution and the establishment of the Islamic Revolution. 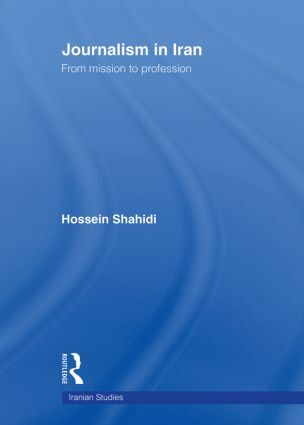 Hossein Shahidi teaches Communication at the American University of Beirut. He was a journalist and journalist trainer for more than twenty years, mostly at the BBC World Service, and Gender and Media Specialist with the United Nations Development Fund for Women (UNIFEM) in Afghanistan (2003-2004). Since 1967 the International Society for Iranian Studies (ISIS) has been a leading learned society for the advancement of new approaches in the study of Iranian society, history, culture, and literature. The new ISIS Iranian Studies series published by Routledge will provide a venue for the publication of original and innovative scholarly works in all areas of Iranian and Persianate Studies.